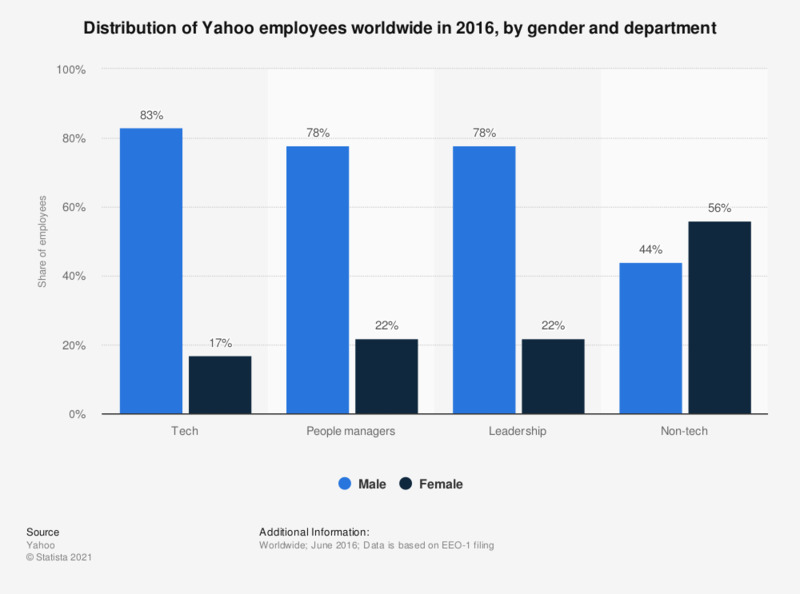 This statistic illustrates the distribution of Yahoo employees worldwide as of June 2016, sorted by gender and department. During the least measured period, 22 percent of global Yahoo leadership employees were female. The majority of employees were male.